Designer Vivetta Ponti and her label VIVETTA are known for their playful take on nostalgic and romantic designs. Since the founding of the label in 2009 the Milan based brand continuously surprises the fashion crowd with an ever-growing creativity on how to incorporate a childlike spirit into contemporary womenswear. 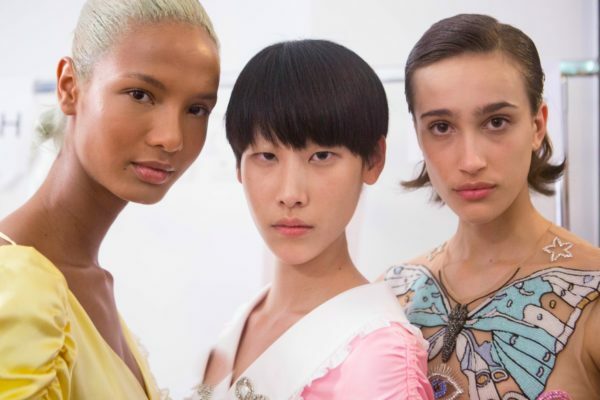 For its latest Spring / Summer 2019 collection, presented in Milan just last Thursday, VIVETTA showcased an array of sorbet-coloured macramé dresses, tulle tops embroidered with ladybugs, swans and butterflies and little details made of Swarovski crystals. 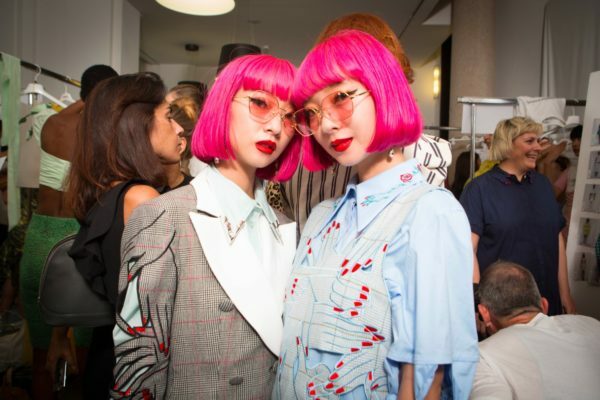 The collection entailed an almost dream-like, fairytale aesthetic, so its not surprising that the designer’s inspiration came from surrealist films and psychedelic graphics from the Seventies. INDIE wanted to find out more about Vivetta Ponti’s latest stroke of genius – so we just asked. Your Spring Summer collection continues your pretty and playful aesthetic, this time with a charming child-like naivety. Do you think it is important to create little fantasies with fashion? My creations reflect what I love, my interests, my inner world. The retro touch of the objects is balanced by a decidedly contemporary style that aims to offer something new. I do not have a particular secret for my collections, I simply do the things I like. 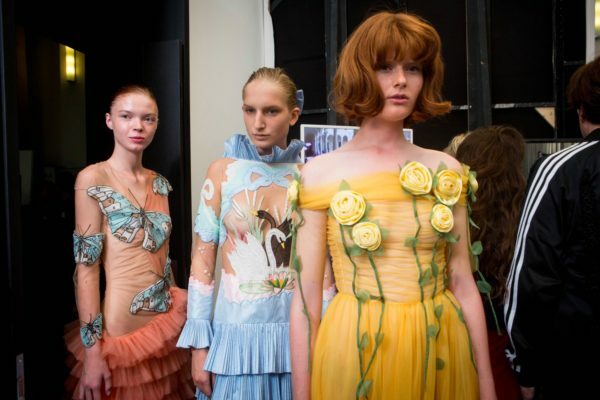 Swans, butterflies and ladybugs keep on appearing on the garments of this collection. Why did you choose them? Do they have a special meaning to you? Since I was a very little girl it has always been very important to me. I always loved nature, I’ve grown up in the country and I lived there for a long time. My collections reflect what I love, my interests, my inner world. The retro feel of the clothes is balanced by a decidedly contemporary style that focuses on delivering something new. Another very striking part are the beautiful long, princess-like gowns in sorbet colours that we saw your models wearing down the runway. How do you unite this fairytale image that you have created with the want to be a strong and independent woman? The Vivetta woman is a refined and ironic woman who enjoys experimenting and playing with her image. I love the union between a fairy world and a strong character. My woman loves experimenting with fashion, wearing a head-to-toe story and feeling good about it. Who do you see wearing your collection? My consumers, like most consumers today, are much more aware, informed and demanding both in terms of quality and style. The customer who appreciates my creation is undoubtedly a refined and ironic woman who loves to experiment and play with her picture. The coolest girls like beautiful places, love the good things in life and are international. You describe your collection as a “surreal short film that never misses the happy ending“ – what would this perfect happy ending look like for the story of your collection? It is an illusory and smiling game to which I wanted to invite my “spectators”, in my story triumph grace and fantasy, as if a spell transfigured reality, making it magical and surreal. As in all the best films, the happy ending is necessary.